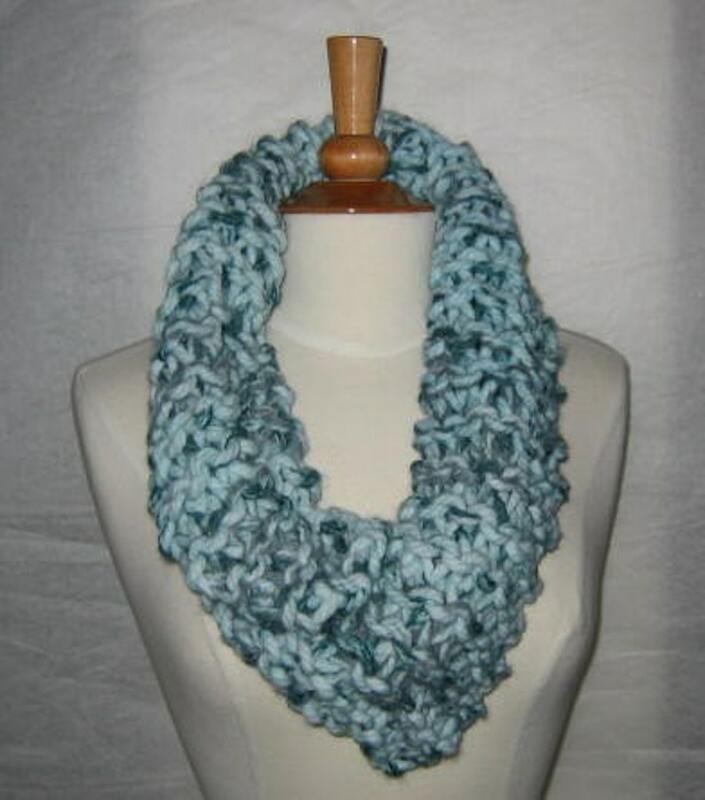 This scarf was knit using an amazing bulky yarn with a variegated pattern featuring teal and grey speckles on a background best described as minty aqua. Super soft and plush, it will keep your neck warm in cold, windy conditions. Nothing worse than a chilling draft going down your back.